Basham’s report is actually a two-topic piece, with the tie between the two being the USA’s blatant hypocrisy and highly questionable legal and political tactics. 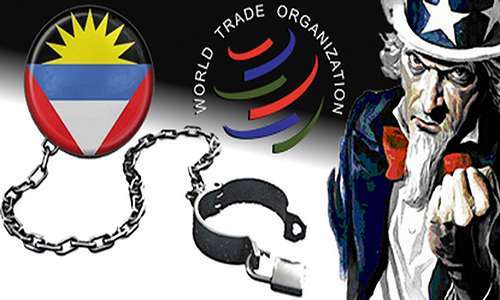 The first is the USA’s utter disregard of the judgment issued by the WTO in Antigua’s favor. That part of the report drew heavy mainstream coverage earlier this week: The Los Angeles Times ran a feature focusing on the USA’s failure to pay its owed WTO judgment to Antigua while financially poor Antigua struggles with hundreds of millions of dollars in damages caused by this summer’s Caribbean hurricanes. The second part of the piece, just as newsworthy in this writer’s opinion, details the battle between USA authorities and Bodog’s Canadian founder, Calvin Ayre. 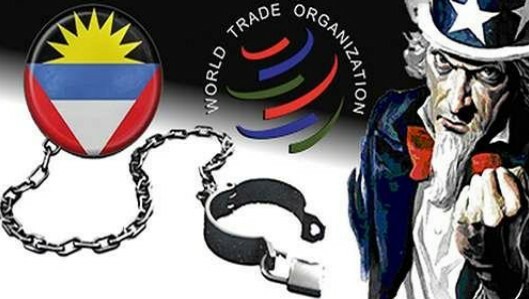 That the USA has acted in a manner that violates both international law and its own WTO trade agreements regarding Ayre and Bodog is every bit as evident as the USA’s repeated and multiple transgressions in the Antigua WTO matter. 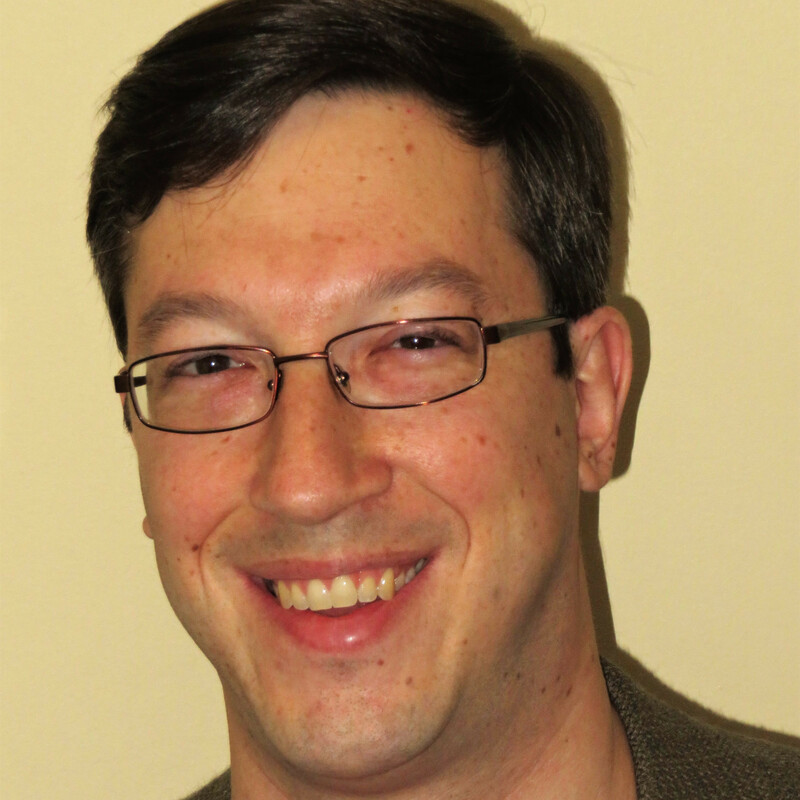 We’ll be publishing a couple of pieces on the Bodog portion of Basham’s piece, because the manner in which the USA has attacked Bodog and other offshore operators deserves a fuller airing. Basham’s report, by all indications, is meticulously researched, and it includes details on both the Antigua and Bodog matters. Basham and the DI think tank have also been in contact with Ayre and his legal advisors at length, accumulating the background for that half of the important piece. Let’s return, though, to the Antigua WTO tale. As most of our readers know, we’ve been tracking the WTO trade dispute between Antigua and the USA for years. The USA’s failure to honor a relatively minor judgment (in global economic terms) is stunning when one considers that the USA not only helped create and champion the WTO, it’s filed more complaints against other trade-pact violators than any other nation on the globe. That’s been absolutely true in this matter for more than a decade. Despite the USA’s administration bouncing back and forth between conservative (Republican) and liberal (Democratic) parties, the US Trade Representative office largely has claimed moral grounds for its UIGEA-style offshore blockade. The WTO laughed at that, knowing full well the real reason was economic: America’s business interests didn’t want hundreds of millions of dollars flowing offshore to online-gambling sites. This report finds that monies were expropriated, civil liberties infringed upon, and reputations threatened under the guise of enforcing American anti-gambling laws – a cautionary tale for America’s trading partners, foreign businesses, and multilateral economic institutions. It documents America’s discriminatory trade practices against Antigua and Barbuda, which services a global customer base with responsible, regulated online gambling, and the US federal government’s highly irregular, ill-advised, and unsuccessful prosecution of Canadian Calvin Ayre, the global online gambling entrepreneur. These mistakes result from the American government’s logic-defying campaign to prevent American consumers from betting in cyberspace. Policy ‘success’ required that America consciously and relentlessly threaten the livelihood of Antigua’s thriving, legal online gambling industry. There’s much, much more of this in the report, as well as in the LA Times feature also referenced. Some readers are likely to ask if Basham’s think-tank piece is an advertorial paid for by Bodog and Ayre. Such does not appear to be the case, despite the obvious open communications between Basham and Bodog sources in the preparation of the second half of the piece. Ayre has established his primary residency in Antigua, having obtained dual citizenship there as well, and he is now an official consultant for the Antiguan government of Gaston Browne on cryptocurrency and online-gambling matters. As for the the Democracy Institute itself, it’s a well-known think tank with offices in New York and London, and its advisory board includes several other prominent researchers and scholars, including three members of the highly respected Cato Institute. Further, even though the report’s author, Basham, stresses that the report is his personally and not the Democracy Institute’s, he is the think tank’s founding director. It was thus easier for him to receive the prominent peer review that the report enjoys, though again, this is the best report ever written on the USA-Antigua dispute. Basham and the Democracy Institute also joined with Antiguan officials at the WTO earlier this month, discussing the issues addressed within the piece. Does it change anything, regarding the USA’s blatant disregard for fair play? Probably not, though the supposed leader of the free world may not be as blatant with economic threats against Antigua as this 14-year battle continues. That’s been done repeatedly, as have token settlement “offers” by the USA that amount to less than 1% of the value of the WTO judgment owed to Antigua.